Graceful scripts on classic designs schemes harmoniously combine to produce a polished appearance on our 5/8” woven cotton labels. Displaying perfect proportions, these 100% cotton labels offer from one to three lines of text and make a splendid addition to any garment. The superior Old World craftsmanship used to fabricate these cotton labels forms a durable product tag that looks awesome and feels exquisite. Wonderfully sized for clothing, our 5/8” labels unite premier strength and softness, elegant design styles, and an affordable price to produce an excellent clothing label. The simplified ordering process with carefully constructed choices allows you to place your order without a lengthy selection process. 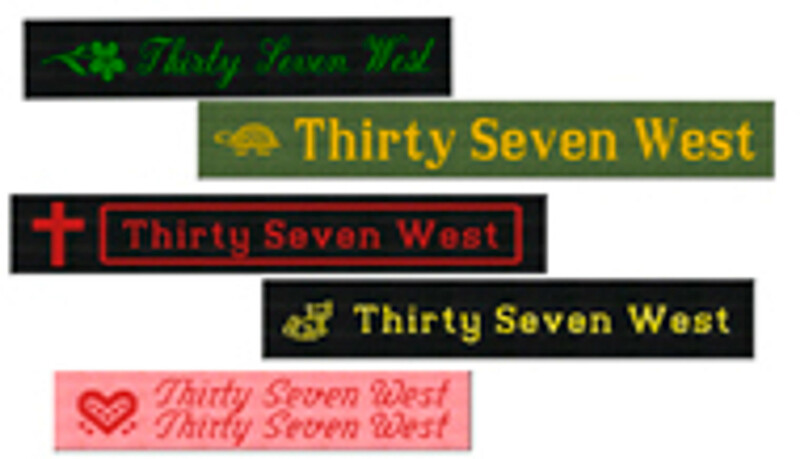 To order custom woven labels or learn more about the extensive customer service we offer, e-mail or call to connect with a knowledgeable service representative who can assist you in your design choice.